The new museum at San Felipe de Austin State Historic Site, a Texas Historical Commission property, opens its doors on April 27, 2018. In the early days of Texas, before the Texas Revolution, there stood a town along the flowing waters of the Brazos River that was one of the main political and cultural hubs north of the Rio Grande. Texas legends lived and worked here at what was once known as San Felipe de Austin, including eventual Alamo commander William Travis and the father of Texas himself, Stephen F. Austin. Although little of San Felipe de Austin remains today, the impact of the events that happened here can still be felt across the state. Discover this chapter of Lone Star lore at the new museum at San Felipe de Austin State Historic Site. Explore 10,000 square-feet full of historical artifacts and interactive exhibits that offer a one-of-a-kind look at one of the most important places in existence before the revolution. If you’re a fan of Texas history, plan a visit to the museum. Rarely does something so simple represent so much, but that is the case with Stephen F. Austin’s desk. 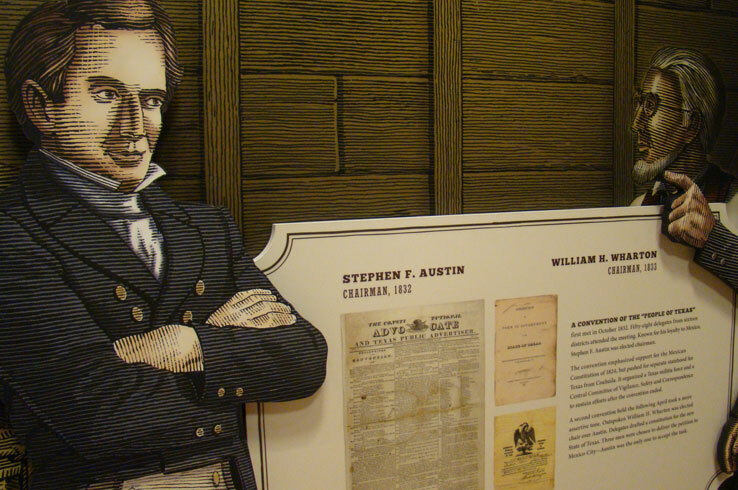 In the 1820’s, Austin oversaw the arrival of the first American immigrants to Texas. The names of the first arrivals and the first surveys and maps made of the Texas wilderness passed over this desk at some point. 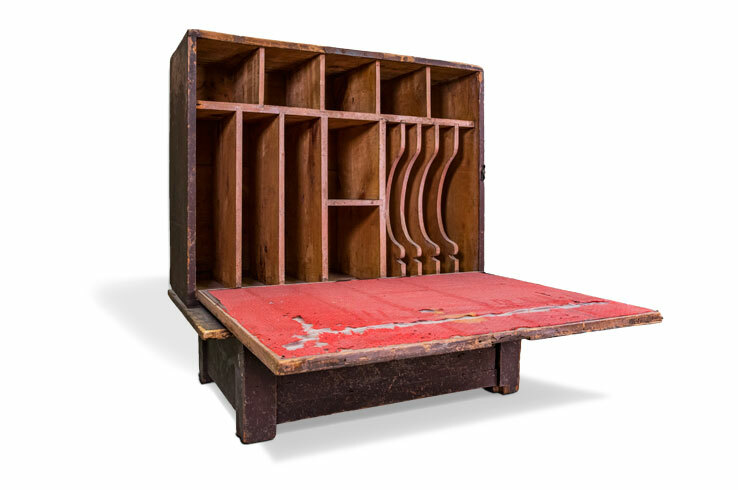 Built in 1825 by a local carpenter, Austin’s desk is the centerpiece of an area in the museum that showcases his role as an empresario authorized by the Mexican government. Feel like an empresario yourself as you interact with some of the elements on Austin’s desk via a digital display. Then check out a collection of artifacts and a replica of a historic hand-written ledger recording the first 297 settlers that made up the Old Three Hundred. 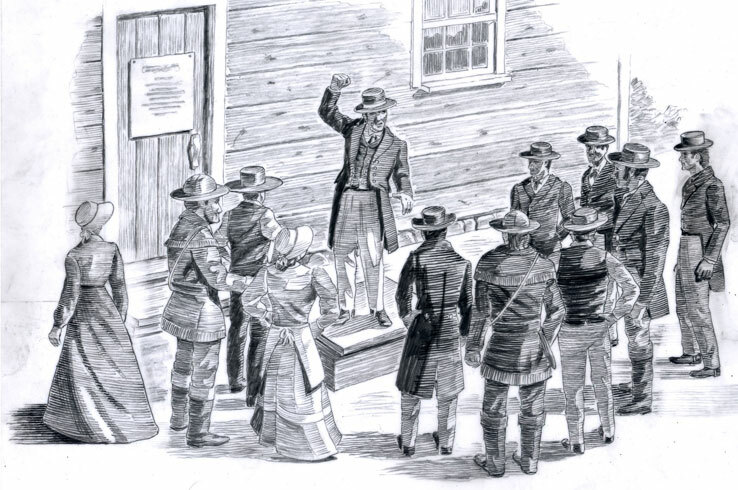 What does the Texas Declaration of Independence and William Travis’ “Victory or Death” letter have in common? Both were printed en masse at the Baker & Borden’s printing shop in San Felipe de Austin. The shop, owned by Gail Borden (founder of Borden’s Milk), was also the printer of one of the first newspapers printed at Stephen F. Austin’s original colony, the Texas Gazette. Borden’s later San Felipe-printed paper, the Telegraph and Texas Register, played an instrumental role in the Texas Revolution. All the printing was done on a large cast iron letterpress printing press just like the one you can see at the museum. 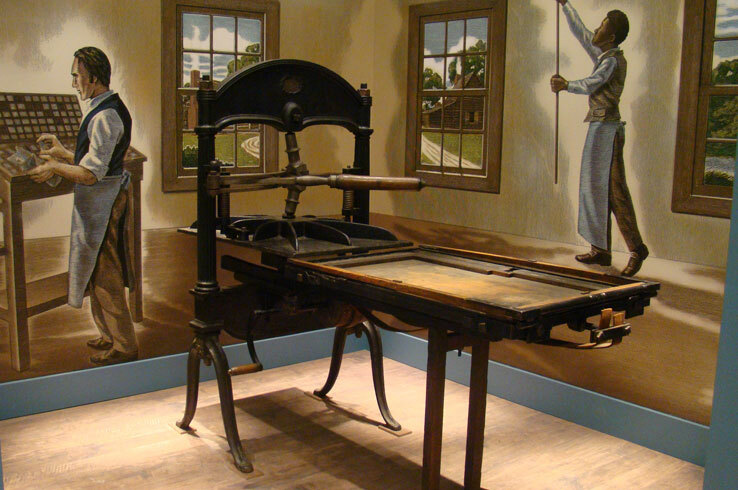 Learn how the printing press worked and the role it played in this era of the Lone Star State’s history. In its heyday in the 1830s, San Felipe de Austin was home to as many as 600 people, and thousands more passed through as they headed further west. Although little of the original town site remains today, you can still see it thanks to the museum’s six-by-eighteen-foot digital mural. See the town square and other parts of the bustling community and go more in-depth with the mural’s interactive features as you get to know one of the state’s most important locales in its history. Note: The above image of an auction in San Felipe de Austin is part of the still-in-development digital mural. Should Texas declare independence from Mexico? If war breaks out, should the Texan forces attack the Mexican garrison in San Antonio? The answers to these questions would change the course of history. How would you have answered them? Find out at the Council Hall exhibit, which puts you in the shoes of one of the delegates tasked with making these decisions. Listen as prominent Texans debate over three questions and review historical documents before casting your vote. The interactive exhibit accommodates up to eight people, creating plenty of added opportunities for discussion. Will your choices line up with history? You may be surprised. 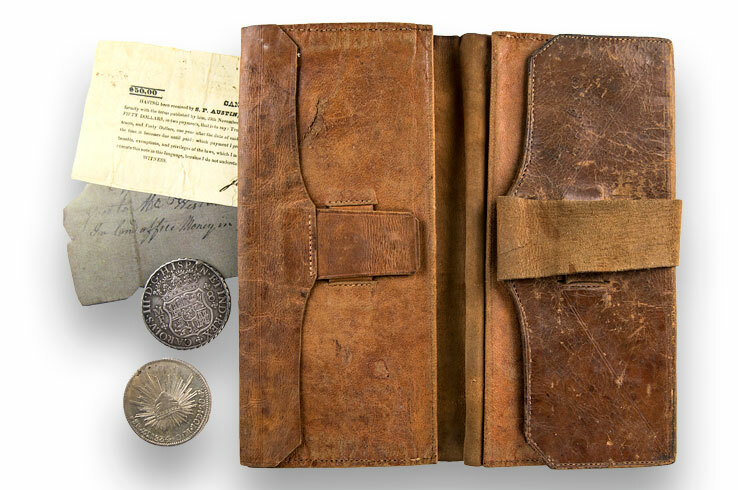 While little remains of the structures that once made up San Felipe de Austin, there are plenty of items found just below the surface that shed some light on what life was like in this part of Texas in the 1830’s. Among the many archeological items in the museum is a 1/8th fragment of a Spanish silver dollar, an example of something called “cut money.” This was a common practice on the frontier when people didn’t have access to a lot of currency, so they made change by physically cutting coins. Other historical artifacts on display include a letter K from a letterpress printing press, bone dominoes, and ceramic dishes. Each of these items tells their own story, so take your time and you’ll discover something you didn’t know before. Experience some of the pivotal moments of early Texas history at the new museum at San Felipe de Austin State Historic Site. With its exhibits of historical artifacts and interactive experiences, the museum has something for history enthusiasts of all ages.